Music during Mass is one of those topics that evokes strong feelings, often because we believe our favorite songs make for the most joyful noise. For every fan of contemporary music in the Catholic liturgy there is another who prefers traditional hymns, chanting — or perhaps, no music at all. It can be tricky for music ministers to navigate this vast — and sometimes rocky — sea of church songs to find selections that appeal to all in the congregation and reflect the liturgical themes as well. “Music is what people remember. They’re going to remember the energy that’s there,” said Valerie Lee-Jeter, the minister of music at St. Vincent de Paul Catholic Church in Philadelphia. When the music is good, it’s seamless, unifying the congregation in song and supporting the liturgy. But when the music seems listless, unfamiliar or unwelcoming, it can make Mass feel like an eternity — or worse, not worth the time. “There is so much dispassionate liturgical ministry going on, and we wonder why we are hemorrhaging members. Dispassionate ministry doesn’t feed people,” said Steve Petrunak, president of the National Association of Pastoral Musicians. Petrunak, who previously served 23 years as director of music at St. 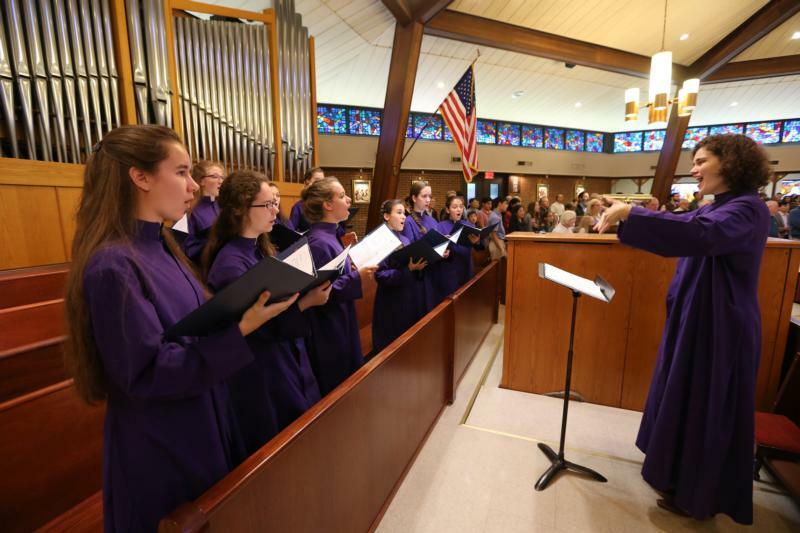 Blase Parish in Sterling Heights, Michigan, said music directors have a responsibility to choose songs that reflect the liturgy but also the people they serve. “They have to covet the sound of the singing assembly. I could have the greatest ensemble, but if the No. 1 aim is not to get the community to be fully consciously and actively engaged, it’s not going to work,” he added. Choir members also have to be committed, said Pam Spano, who is active in the music ministry with her husband at their church, St. Therese Chinese Catholic Church, a multicultural parish in Chicago’s Chinatown. It can be challenge when choir members skip practice but show up for Mass and try to sing anyway. Appropriate timing also can help ease the introduction of new material to congregations who may be unsure about new songs, said Spano, whose choir uses the offertory and Communion to introduce new songs. St. Vincent’s parish in northwest Philadelphia, like many across the country, has felt the effects of church consolidation. About six years ago, the parish grew due to the closure of two nearby parishes with a predominantly African-American congregation. Lee-Jeter said there has been a concerted effort to make sure the liturgical music reflects the now larger St. Vincent de Paul parish community. A gospel choir was established, and musical selections continue to highlight the parish’s strong commitment to social justice. At the same time, many of the traditional favorites are in regular rotation, resulting in a musical blend that represents the parish community. “We had to establish that relationship that we are all one,” Lee-Jeter added. Petrunak said a balanced musical repertoire provides the best ministry because it acknowledges the diversity of voices and a desire to serve.